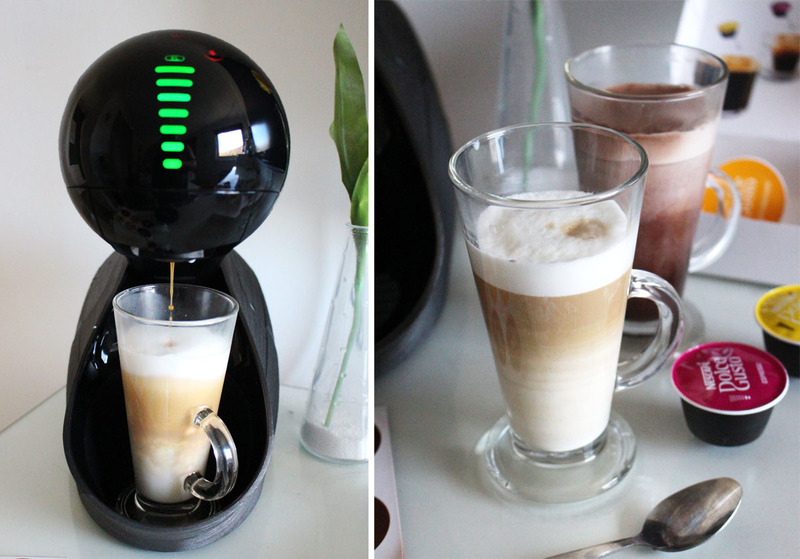 The Black Pearl Blog - UK beauty, fashion and lifestyle blog: Nescafe Dolce Gusto Movenza review. 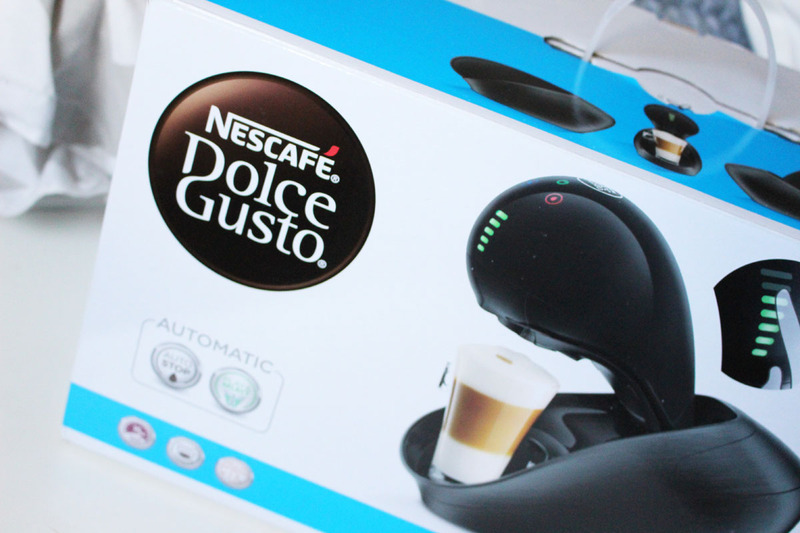 Nescafe Dolce Gusto Movenza review. 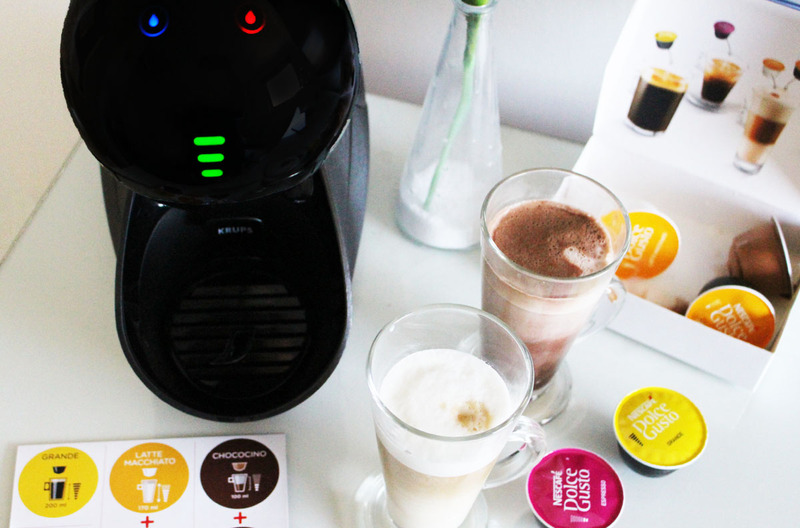 I love coffee and I have a Nespresso Citiz coffee machine in the kitchen , but I've always liked the idea of having a little coffee setup in the bedroom upstairs, so I was delighted to get the new Dolce Gusto Movenza*(£179.99) to make our mornings a little bit nicer. The Nescafe Dolce Gusto Movenza is a stylish automatic pod coffee machine with an unique automatic opening mechanism. It is available in 2 colours (black and silver). I have the black version. It's quite big but it sits nicely on top of the unit and I am really loving using the Dolce Gusto pods, especially the latte ones. The machine’s high-pressure system (maximum 15 bar pump pressure) promises to create professional quality coffees with a velvety crema. You simply pop your capsules in, select the size of your coffee and let the machine do it's magic. It's very easy and quick. With a latte (which is my drink of choice), you have to use two pods, a milk one and a coffee one. It's quite handy, as it means that we can make coffees in the bedroom without frothing milk separately. Here's the machine in action, making a delicious vanilla latte. 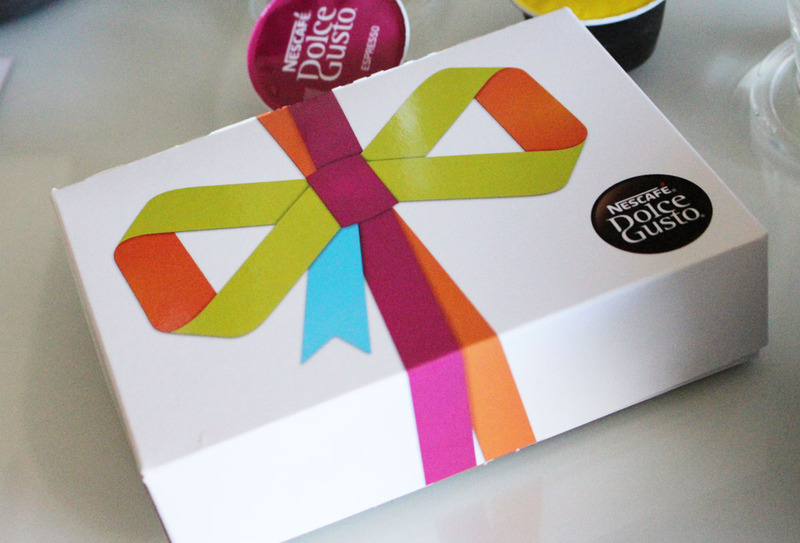 You get a little pack with coffees with your machine, so you can try a few different types before ordering a big box. The box also includes a £10 voucher to use towards your first order of pods. I ordered 4 boxes, including Soya latte (wouldn't recommend) and my faves: Vanilla Latte and Caramel Macchiato. One thing I have to get used to with this machine is filling up the water tank regularly, as I tend to forget because my other one is visible outside and I only use it for coffee (no milk). The tank on the Movenza hides inside, in the back of the machine, so make sure it's full before making a coffee. Other than that, I have no complaints or issues, I love it! 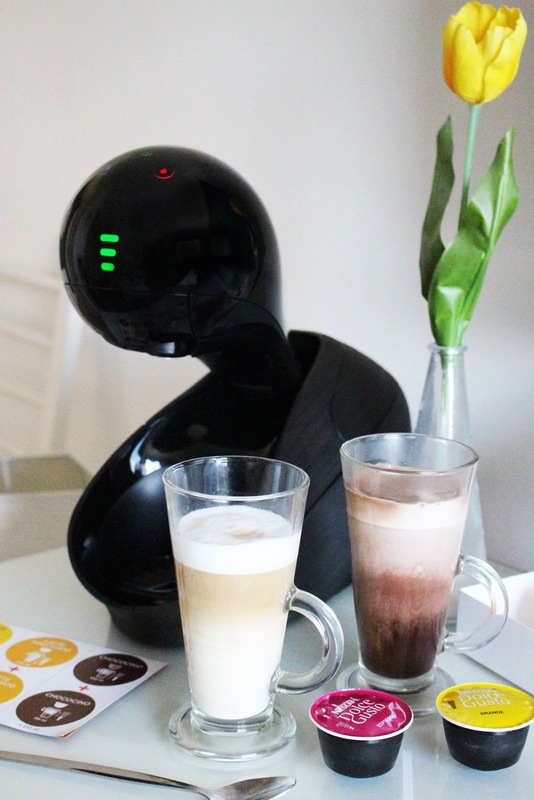 Overall, I am very pleased with the Dolce Gusto Movenza and I really like the Dolce Gusto coffee pods as well. 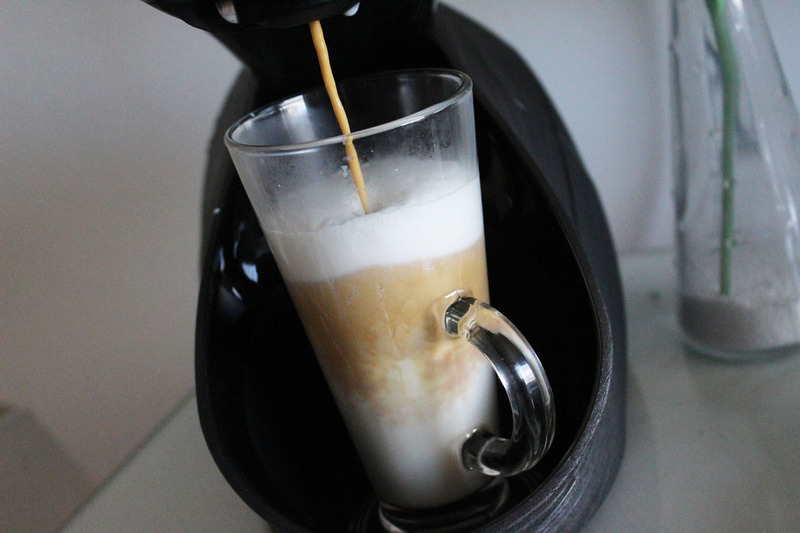 The design is very modern and the coffee is super easy to make and tastes delicious. You can check out all the Dolce Gusto coffee machines HERE.